A number of brides have recently come forward with horror stories about what Kay Jewelers did to their beloved engagement and wedding rings and how they refuse to make amends. Nicole Largent from Martinsburg, West Virginia, is one such bride who has a particularly harrowing story about Kay’s terrible customer service. Back in 2014, her now husband Josh created a beautiful proposal for her involving an elaborate scavenger hunt. The hunt culminated in him presenting her with a beautiful engagement ring that he had custom designed at Kay. Nicole was overjoyed, not necessarily because she loves sparkly jewelry, but because the ring marked one of the happiest moments in her life. Since the ring and the couple’s wedding bands cost a total of $21,000, they wanted to be sure they took extra good care of it, so they purchased an extended service plan through Kay. It allows them to come in every six months to have the ring cleaned and checked for loose stones. Soon after their wedding, they brought the ring into their local Kay Jewelers, and an employee told them a stone needed to be tightened. So they left the ring at the store to be fixed. 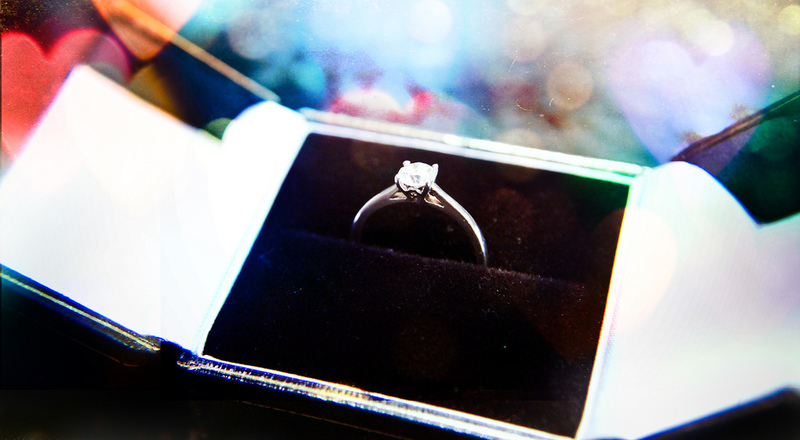 However, when the couple called to find out when they could pick it up, they were told the ring had gone missing. Nicole was heartbroken. While the warranty guaranteed them a replacement ring, that didn’t make up for the loss of something that was of such sentimental value to her. And Nicole’s far from the only person who’s experienced such disappointment at the hands of Kay Jewelers. Their Facebook page is flooded with words of warning from wronged customers who’ve had rings broken, stones lost and replaced with ones noticeably smaller and warranties having mysteriously gone missing when rings needed fixing or replacing. Here’s just a small sampling of complaints. 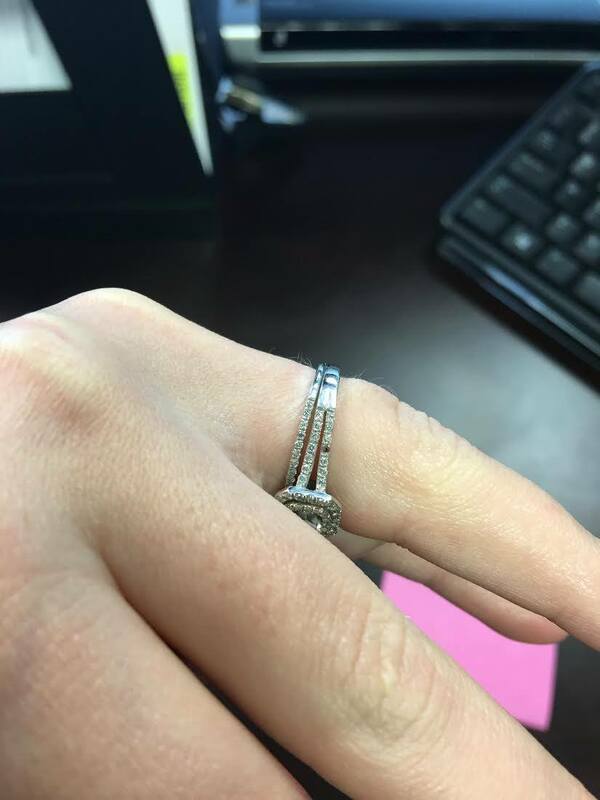 From replacing a lost diamond with one of staggeringly lower value, to refusing to offer a refund because of “missing warranty papers,” Kay Jewelers seems to be guilty of it all. However, the Largents are not backing down. According to local law enforcement, they’ve filed police reports to investigate their missing ring because Kay refuses to put in any effort to recover it. Only after Nicole published her complaint on their Facebook page publicly calling them out did they appear to take action. Kimberley Kanary, a spokesperson for Kay, commented, “We are continuing to work diligently with the guest on this matter. We have provided options that we are confident reflect commensurate value, and we are committed to collaborating with the guest on a satisfactory resolution.” However, according to Nicole, that option of “commensurate value” is not even close to the Leo diamond her husband had originally purchased, which Kay claims is its highest quality diamond. So do yourself a favor: If you and your partner are looking to buy an engagement ring, remember, every kiss doesn’t have to begin with Kay, but a lawsuit probably will.